ESTATE PLANNING CINCINNATI: 5 Top Estate Tax Planning Facts for 2019 - Phillips Law Firm, Inc.
Life and the law can change fast. If it has been more than 3 years since you had your estate plan reviewed, we would encourage you to call our office at (513) 985-2500 to schedule a free estate plan review to make sure your plan, and the people you originally selected to serve, are all up to date. In the meantime, we wanted to provide you some of the top estate tax planning issues to consider in 2019. In 2017 the new tax legislation doubled the transfer tax exemption, as adjusted for inflation. The 2019 estate / gift tax exemption has been increased to $11.4 million per person, or $22.8 million for a married couple. It is important to note that this exemption applies to both transfers at death and transfers made during life from estate and gift taxes. This increase in the exemption has created a huge opportunity for wealthy clients to protect even a greater portion of their wealth from transfer taxes. The IRS has confirmed that clients will be allowed to make large gifts from 2018-2025 (the period when the increased estate tax exemption is in place) without fear of any kind of clawback if the client dies is in year when the exemption is lower. This means clients can move forward with plans to use the entire exemption before 2025 without fear of tax liability for those transfers in the future. When inheriting an IRA the distribution requirements depend on whether the beneficiary is a spouse or non-spouse. A spousal beneficiary has the option of either rolling the inherited IRA into their own IRA or into an inherited IRA. If the surviving spouse is under the age of 70 ½ it usually makes more sense for the surviving spouse to rollover the IRA into their own IRA so they can defer required minimum distributions (RMD’s) until they reach 70 ½. A non-spousal beneficiary cannot defer distributions until 70 ½ but must withdraw all of the funds within 5 years or over the beneficiary’s life expectancy. Usually, 401(k) plans will not allow the beneficiary to take distributions over the beneficiary’s lifetime and will force a lump sum distribution. This is because the company sponsor of the 401(k) plan does not want the administrative burden involved in managing stretched out distributions. Fortunately, a designated beneficiary of the 401(k) plan is permitted to roll proceeds from the plan into an inherited IRA and utilize the inherited IRA rules discussed above. Because of these complex distribution rules, you should always check the beneficiary designation on your IRA’s and other retirement plans to make sure your beneficiaries have the option to defer distributions as long as possible, and never name your estate as the beneficiary of a retirement plan. Many clients used A/B Trusts in their estate planning take full advantage of the estate tax exemption upon the first spouse’s death. However, many of these trusts were written before 2009 when the estate tax exemption was less than $2 million per person. With the current exemption now being $11.4 million, many of these old trusts could have severe unintended consequences. Specifically, many of these A/B trust use a formula that requires an amount up to the current estate tax exemption to be placed into a credit shelter trust. With the current exemption being so large, this may result in no assets passing to the surviving spouse. This is especially problematic if the surviving spouse is not the beneficiary of the credit shelter trust. We generally recommend that you have your estate plan reviewed every 3 years. However, if you have an old plan that was established prior to 2009, you need to make having your estate plan reviewed in 2019 a priority, otherwise the most recent tax changes could have severe unintended consequences. The current estate tax exemption of $11.4 million is only temporary and is scheduled to return to pre-2017 levels starting in 2026. You should also remember that everything in the tax code is temporary and subject to political shifts in power and policy. That is why your planning must be flexible and you or your advisors must remain vigilant in monitoring changes in the law. Paul Kellogg is an attorney in Cincinnati with the Phillips Law Firm, Inc. Paul’s practice focuses on providing comprehensive estate planning and probate services to families and business owners, as well as serving as outside general counsel to entrepreneurs and businesses where he provides guidance and advice on a wide variety of transactions and disputes. 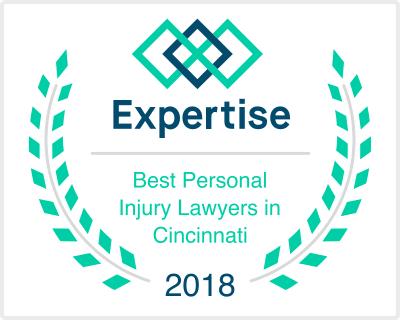 He can be reached at (513) 985-2500 or via email at PJK@PhillipsLawFirm.com. Please explore Paul’s other articles on estate planning and business on the Phillips Law Firm Blog page.